Check your emails! If you have not received anything from Weis then head over to their Facebook page to print out some awesome coupons for some of their cleaning products. It's Time for Spring Cleaning! 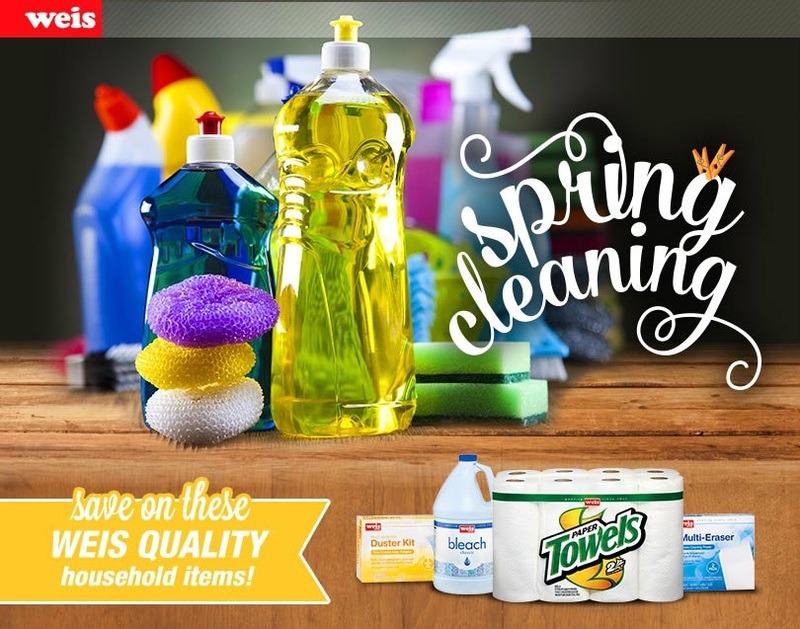 From now until April 5, save on quality household items with these coupons from Weis Markets.